The iGO Navigation software package from NNG has helped millions of travelers, the world over, to travel easily. The iGO free maps download can be used through both online and offline facility. iGO Navigation uses very less storage space compared to other navigation appl. The iGO for Android is an app that has been used for many throughout the world. The iGO for Windows CE has been decreasing as the users of Window phone are also decreasing. The iGO Navigation is an offline app that gives you the perfect guidance, throughout your journey. Giving priority to the main features, it helps you through all journeys, without any irrelevant information or pointers. Travelling across the continent, across countries, across cities or your own hometown is made simpler. The iGO free maps download has further been improved, with better route calculation, reduction in storage space and better visuals. 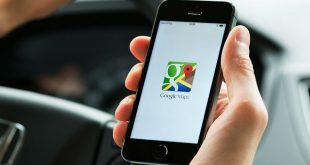 Getting lost on the way, asking others for directions or phone clogs have become history when this new app is installed. The advanced features present in the app can be used on the iPhone or iPad. The app is most useful to provide easy and fast routes. There are multi-stop routes which are supported by the app, which automatically guides you and re-routes you with the right direction, in case you leave the regular route. IGO Navigation can be used across 100 countries such as the US, Canada, Brazil, Mexico, Argentina, Italy, Germany, Russia, Australia, France and much more. As the storage space set aside for iGO, is very less, your device will have more room for other purposes such as videos, photos, and music. You can also look out for other diverse routes to reach your destinations to check for the fastest, shortest and easiest route. Finding the route to any restaurant, landmark, stores, and malls are made easier. 3D city maps and 3D landmarks are provided with good clarity and with better visuals, to know your routes clearer. Junction views help to take the right direction, especially in vital areas and in major roadways. Hard-to-find locations that do not have sequential numbering nor address numbering can be easily located. It is provided with text-to-speech with advanced facilities, as well as turn-by-turn directions for easy navigability and hands-free driving. With iGO My Way you can go to any place using the app on your Android Smartphone. 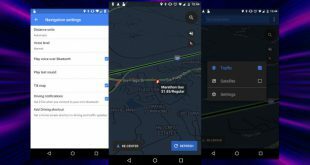 Getting the correct route with the best navigation instructions is the most important advantage of having the app on your Android phone. iGO for Android has benefited its users by its many important features. 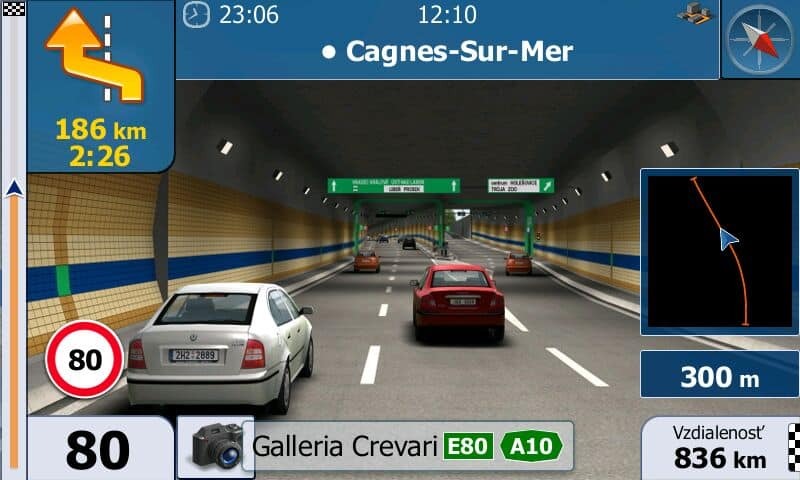 iGO provides you with a 2D map along with a 3D view, which helps to make travel very easy. With the aid of the auto zoom, you can identify your destination as you come closer to your destination. The menu is user-friendly and fast. The large buttons present in the menu makes it very easy for use. You can change the distance information from the meter to miles or vice-versa, according to your preference and easy usage. The offline app is very easy to use. The good visual presentation provides a better understanding of the routes. The terrain is easily understandable for hills, valleys, and mountains. The 3D display is particularly useful, to understand complex junctions and to understand the next maneuver to take. Locating places such as gas station, hotels, park, malls, etc., are very easy. There are three search options, by which you can select the destination required. You can either search by providing the address or placing the location or name the place of interest. The Smart search makes it easy for you to do the search. The search functions come with Along Route, Around Here, Around Destination and In a City. Once the destination is provided, the iGO provides information such as distance to be traveled, the route to be taken, etc. The app provides a list of places of interest. Various POI’s, such as parks, landmarks, gas station, restaurants, etc., are provided through the app, which is particularly useful when going on holidays and when traveling through unknown places. iGO Navigation app helps you to reach your dream destination without any hitch. It is a reliable co-pilot which guides you through all types of mountains and hills. It can be used with or without an internet facility, as it is an off-line app, too. The free download can be loaded from the publisher site. It can also be upgraded easily to other navigation software. iGO software can be bought from online stores for the car media system that operates on win CE. The latest versions include Torrents Search Engine that is both convenient and fast. The iGO for Windows CE has been very useful to its users, as it stores less space and can be used as an offline app. You need a good device with WinCE operating system. It works best with CE5 or CE6. Though it works on CE4.2, it cannot be guaranteed, as there are hardware restrictions. The iGO Primo CE can be supported on devices that have 320 X 240 or 480 X 272 or 800 X 480 screen resolutions. 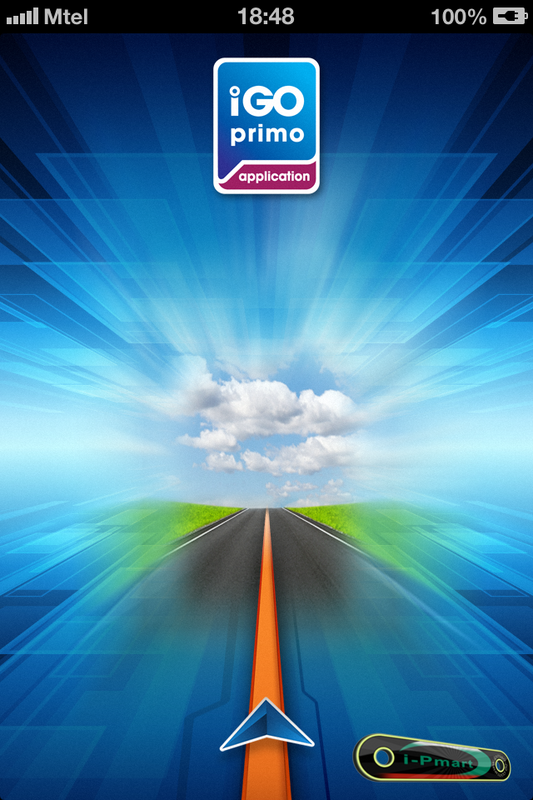 The Primo that you are downloading should support your screen resolution. You can verify with your uploader to check for your screen resolutions. the RAM available should be at least 64 MB in your device. The archive files can be compressed into a single file from multiple files. This helps in saving on disk space and is much more transportable. This archiving software is most suitable as it can be encrypted and self-installed. It also involves file spanning, self-extraction and checksums. As zip formatting is extensively used especially by Windows OS, it can be used by all the users easily. It is also used by OSX in recent times. Another format that has gained popularity is the RAR, which is a very flexible format. iGO for Android phones is essential as it can take you to any destination easily. You can get the iGO maps that will be compatible with your system. Download the torrent file. You can opt for the torrent file download or the magnet link download. If you download the torrent file, you can open it either by clicking on the icon or by going to the utorrent software and opening the file from the add file icon from the file tab. Once the trackers are loaded, the file downloads start. Before you can begin downloading, make sure you have 10.2 GB space available in the system. You can also download using the magnet link. If you press the magnet link, it is automatically opened in the utorrent software. From here you have to go to the Add Torrent. You will have to past the magnet link path from the URL. Once selected, you can click OK. From the files displayed you can click the files that you require. You can also check the files you require and uncheck files that you do not require for download. To put the downloaded files, you will get the ‘where files go’ displayed in the description video. The torrent contains the maps you require and you will get the trucks too. The places of interest, the license, the files, buildings etc. are also found in the torrent. Make sure that all the files are copied into your device. As the file work with all devices such as next-gen, iGo, primo navigation software, it is very convenient for the user to use the iGO for showing directions easily. The iGO Navigation does not contain maps on the first download. You will have to choose the Navigation package provided and specify the region that you require. This will be available in their app store. Later, you can buy more content to make your application more usable. On updating, sometimes, there are chances of iGO Navigation being removed. In such cases, you will have to go to settings and choose the Reset to Default menu. You will not have to pay for the updates once you have purchased the package. iGO free maps download is a great companion to have whenever you travel, as it is an offline application. But if you have an internet connection, you just have to go the in-app shop and download the package for real-time traffic service. The GPS signals are made use of, in the app and are most useful for all your travel, whenever required. It is best to make the download through a Wi-Fi network as the size of the maps is very big in size. The map size depends on the country that has been selected. Make sure that you have an operating system such as iOS 7.0 or Android 4.0.3. Newer versions can also be used. Without an internet connection, you can get statistical traffic information. In case you get into a traffic jam, you can easily get an alternate route. You can also make use of the free trial to understand the need for the iGO Navigation during your travels. Once you find the necessity of this app, you can purchase it from the in-store to get more countries with more features. Having the iGO on your Smartphone is most useful as it can be taken anywhere while the Personal Navigation Assistant (NPA) is placed inside the vehicle and cannot be taken anywhere else. The iGO for Windows CE has been on the decrease recently due to a decrease in the number of users. By providing various functions through the touch screen and multi-controller, the iGO free maps download, has been able to minimize the visual presentation through superb color with 3D effect into such small screens through smartphones and tablets. Using 3 option controls for touch, voice and rotary control, these navigators have been successfully leading people as they go on their journey through cities and villages, through mountains and valleys, through deserts and lush spots…It is not only customer satisfaction but driver safety that has also been given top priority. The hardware has been well-embedded into the software to bring the various destinations a truly descriptive advantage. The iGO Primo has been widely used by people all over the world as they can be used in their Smartphone and tablet, especially in Europe. Though it was originally developed for GPS, WinCE and PDS’s, it has in-filtered into the Android platform too. With 800 X 480 resolutions, it is supported by smartphones. There are several program kits that are compatible with these resolutions. The iGO Prima is easily accessible and provides map support with a very intuitive menu. The main screen has a display of the map on the left and search options on the right to give the destination. There are editing options and program settings too. The map can be zoomed to be displayed on full screen, just by tapping on the map. It can be customized with various color schemes by which the user can change it according to his preference. The speed, the time and the distance left are also shown on the screen. The top right corner has a quick menu to find the destination immediately. The route display is seen well through a 2D map to see our progress on the road. The route can be easily edited through a waypoint choice on the map. The main menu has various items such as currency exchange, media player, measuring unit system, alcohol restrictions, driver’s responsibilities, etc. The future for all electronic devices in the Android and multimedia devices for cars or any other vehicle are being manufactured based on Android, while those produced for Windows CE has almost stopped. However, Windows CE will still continue for many more years, as they cannot be wiped out easily and they are much cheaper than Android phones.